Water: To stay well hydrated, drink at least 8 to 10 glasses of water each day. In addition to this, you must reduce the amount of salt you eat to reduce water retention in the body. Also, avoid caffeinated and carbonated beverages that can be dehydrating. Orange juice works effectively for shrinking the open pores. Just apply the juice of an orange on your face and let it stay for 2-3 minutes and wash off immediately. 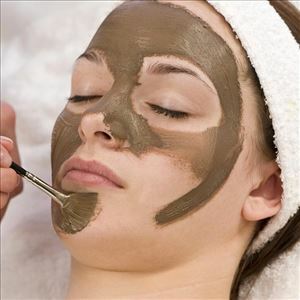 This helps in closing the enlarged pores and giving a shining glow to your face. 2. In peak summers, sunrays are the worst enemy for your skin. Just rub half an orange on your face for few minutes. It will tone and refresh your skin in a jiffy. Karela Juice It may not sound palatable to juice but the bitter gourd, but the truth is that it really helps in losing weight. Drinking karela juice regularly stimulates the liver to secrete bile acids which are required for metabolizing the fat. Moreover, karela is very low in calories. A 100 gram serving of bitter gourds contains just 17 calories! This is the best juice for weight loss. Burning Hands and Feet For those of you who experience extreme burning on the hands and feet, I would suggest that you rub bitter gourd slices on the soles of your feet and the palms of your hand and watch how you're your skin feels. Baking Soda Your kitchen could hold the key to an itch free, flake free scalp. Wet your hair and then rub a handful of baking soda vigorously into your scalp. Skip the shampoo and go right to rinsing. Baking soda reduces overactive fungi that can cause dandruff. Your hair may get dried out at first, but after a few weeks your scalp will start producing natural oils, leaving your hair softer and free of flakes. Summers cause a build-up of sweat on the scalp, leading to irritation. Sweat attracts pollution and dust, which builds up in your hair. You need to clean it off regularly with a deep cleaning shampoo. Also, summers are the time you go for swims, and the chlorine present in the pool penetrates your hair strands, which makes them brittle and dry. To break down the build-up and clear up the chlorine. Chennai sources stated that having had an interaction with managing director of Lifestyle International Pvt Ltd, Vasanth Kumar and divulged into details about brand future, industry, adoption of technology and more importantly what makes Chennai attractive for the fashion retailer. Presently the number of cesarean deliveries has gone up manifold in the last two decades with majority of patients as well society blaming the doctors. However, the doctors directly relate it to the changes in people’s lifestyle over the years. They said late marriages, delayed pregnancies, infertility and lifestyle diseases like obesity, blood pressure and diabetes have become the norm.